My son's 4th birthday party was a spur of the moment decision that I had exactly one week to plan. We were originally going to leave Friday to celebrate his birthday at Dutch Wonderland for the weekend, but decided at the last minute to leave on Saturday morning. That meant we would be home for his actual birthday. 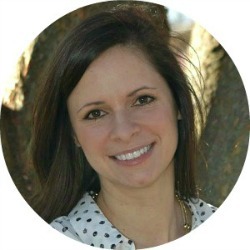 For both my kids I threw a large 1st birthday party, but later decided I would much rather spend the money that we would have spent on a party to go away for a fun birthday weekend. In the past, we've been going to Great Wolf Lodge for my daughter's birthday and Dutch Wonderland for my son's. With all these changes, I had exactly one week to pull together a small family birthday party. Not so lucky for me, the week before the party we were on vacation. We came home about 5 hours before the party, which gave me just enough time to bake a cake and throw together a few decorations. Do you notice the piles of dirt and dumpster just outside the door. 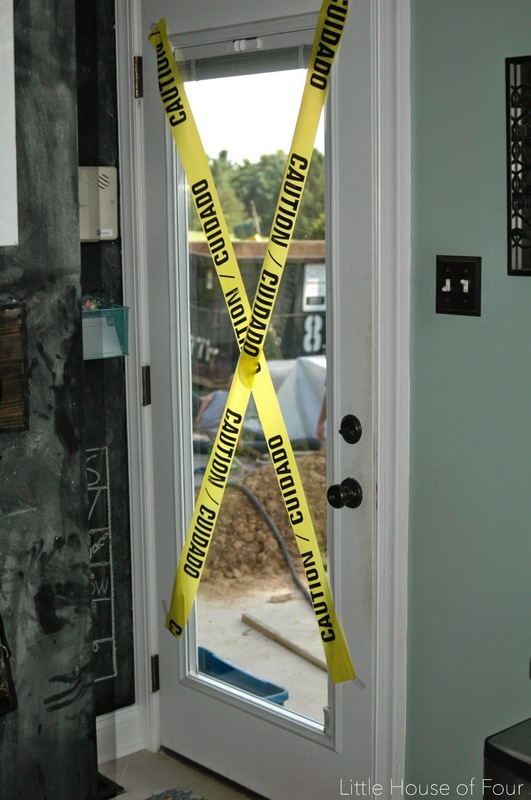 Yeah, we have basically been living at a construction site, so this theme was perfect. 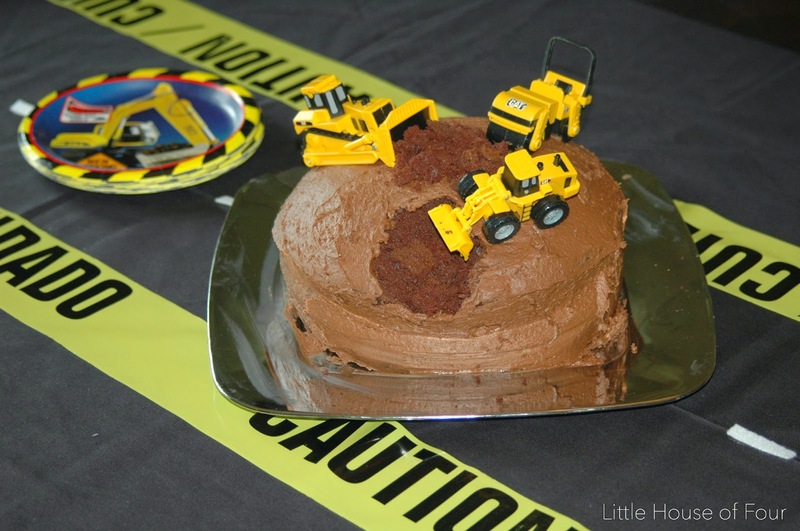 My absolute favorite part of the party was making him a construction cake with the help of a few of my son's toys. The table was made into a road with a few yards of black fabric, some construction tape and felt strips. 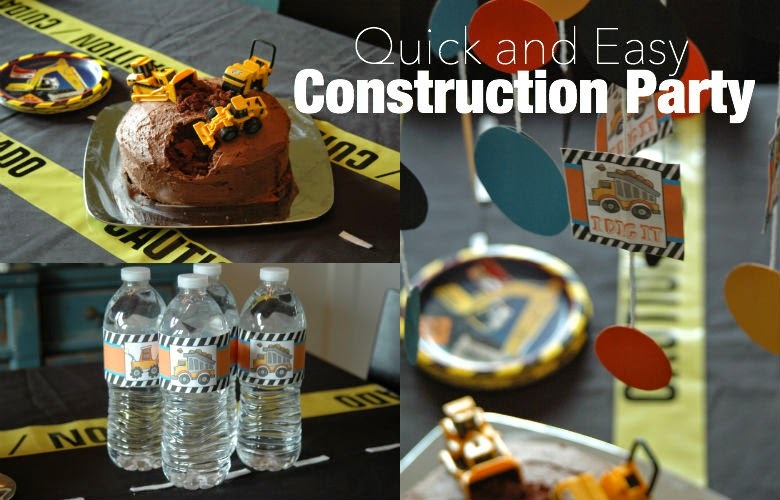 I found some fun free construction party printables from How to nest for less for quick and easy decorations. 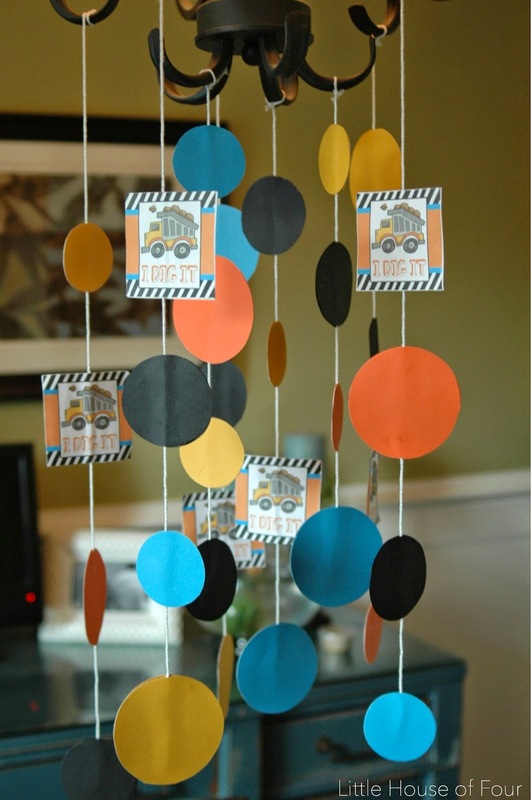 I used the cupcake topper printable and colored scrapbook paper to make my own mobile. I just cut out colored circles in various sizes and glued them to string. 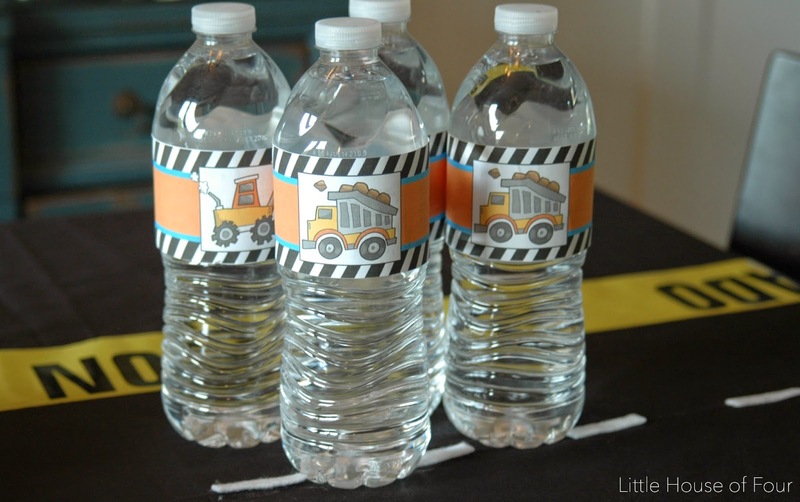 I also used the water bottle labels to cover up a few water bottles. Okay, this is super adorable! When my son turned 5 we had a construction party and I got Home Depot to donate 10 of those little orange aprons and we rolled them up into goodie "bags". IT was so fun, thanks for sharing at Link It or Lump It this week and for reminding me of good memories! Thanks Leigh Anne! What a great idea to get the little aprons from Home Depot. 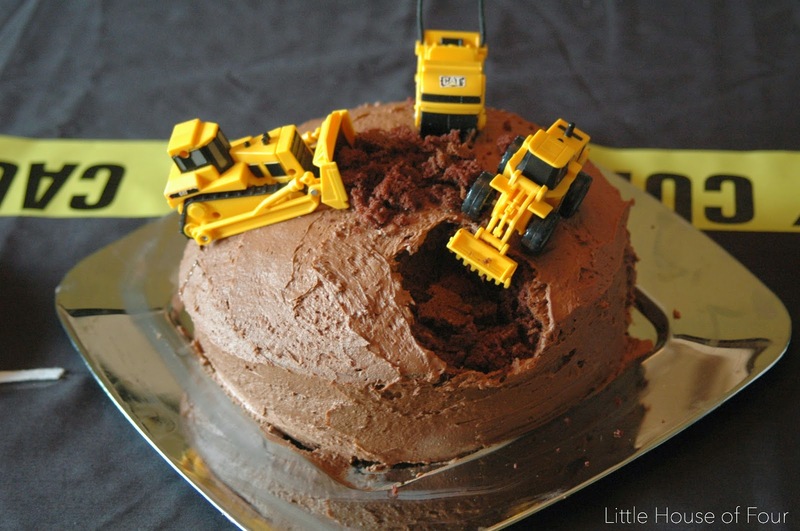 If I had a kid party, that would have been super cute with little construction hats for everyone! 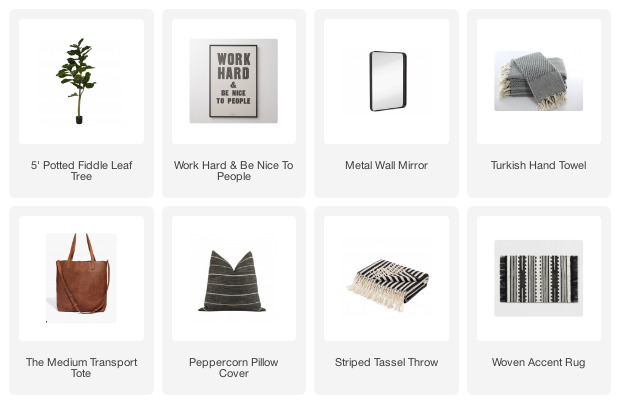 Thanks for hosting such a great link party! Great idea for a kids party. I love the cake. Thanks Carmody! The cake was my favorite part too! Such a fun party, Katie! I love the "crush" drinks, the cake is so cute, and the printables add such a great touch! 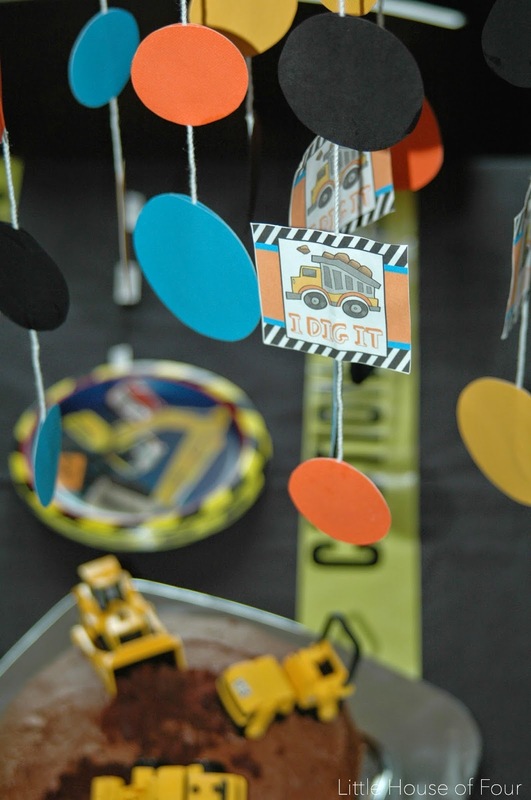 Our son had a construction theme party too a few years back and such a fun theme! I'm sure your little guy was happy! Thanks Kendra! 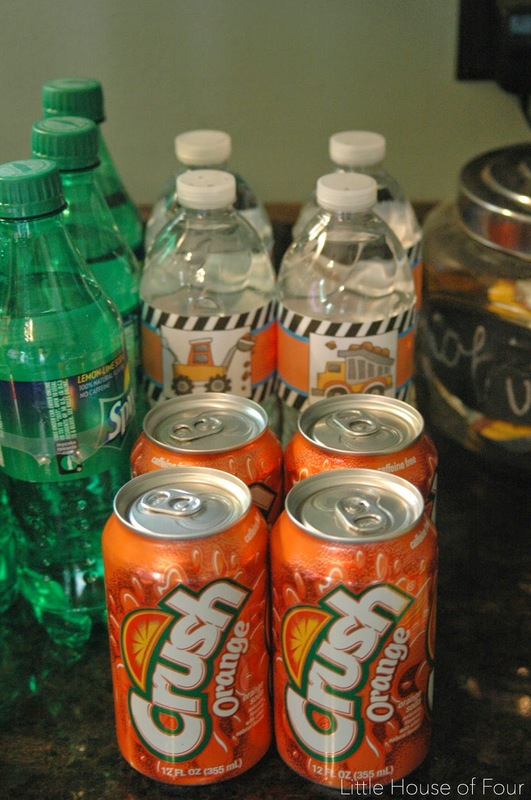 It's funny you mentioned the "crush" drinks, I didn't think anyone else would get it! LOL. It is such a fun theme! I'm sure your son had an amazing partying himself. No way! How did you pull this together in a few hours?! It is totally adorable. I am sure your cutie had a wonderful time at his party! !